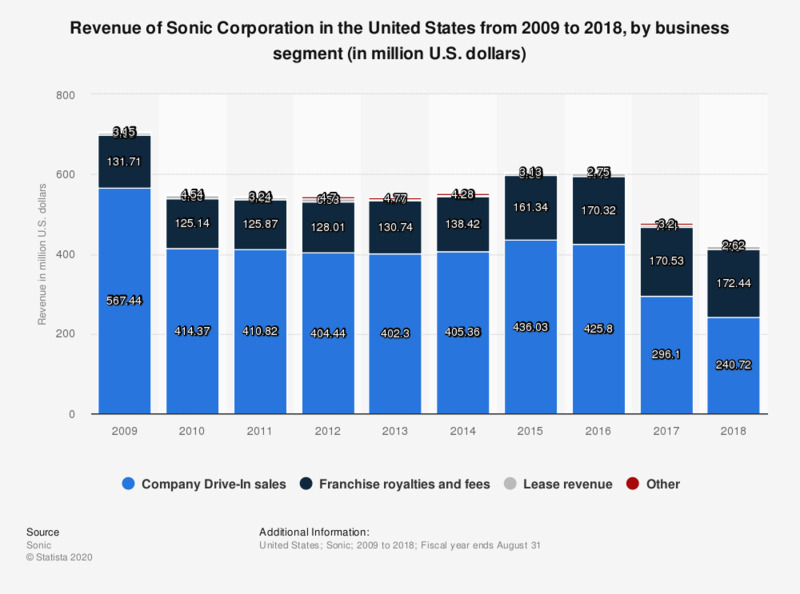 This statistic shows the revenue of Sonic Corporation in the United States from 2009 to 2018, by business segment. In 2018, Sonic Corp. generated a revenue of 240.72 million U.S. dollars from company drive-in sales. Sonic Corporation, founded in Oklahoma, United States in 1953, is a drive-in fast-food restaurant chain.